Calif. Stem Cell Agency Has Yet to Fund an FDA-Approved Cure. Will Voters Give It $5 Billion More? The year was 2004, and great medical breakthroughs were supposedly right around the corner. In TV advertisements, celebrities Michael J. Fox and Christopher Reeve, both suffering from incurable conditions, touted the promise of stem cell research, which could lead to a plethora of cures for life-threatening diseases. Will California's appetite for funding stem cell research last? The ads ran in support of Proposition 71, a $3 billion California bond measure that would create the first state-funded stem cell agency in the nation. Three years earlier, the George W. Bush administration had issued rules to limit use of stem cells obtained from human embryos. But California voters easily passed Proposition 71, 59-41 percent. The California Institute for Regenerative Medicine, or CIRM, was born. Its mission: to fund and accelerate stem-cell-related treatments. Fourteen years and billions of dollars later, the agency is running out of money, and backers of stem cell research plan on asking California voters to pony up for round two. And those stem cell breakthroughs? Still right around the corner. Or, if you're an optimist, perhaps rounding it, now. Stem cell research proponents — including the same advocacy group that backed Proposition 71 — want to ask voters in the November 2020 election for $5 billion in bond money to continue the work of CIRM. For voters, there will be one major question, according to Zev Yaroslavsky, an expert on state politics and government at UCLA. Yaroslavsky expects to see plenty of funding measures on the 2020 ballot, including a parks bond and money for open space and schools, not to mention repeal of the gas tax. 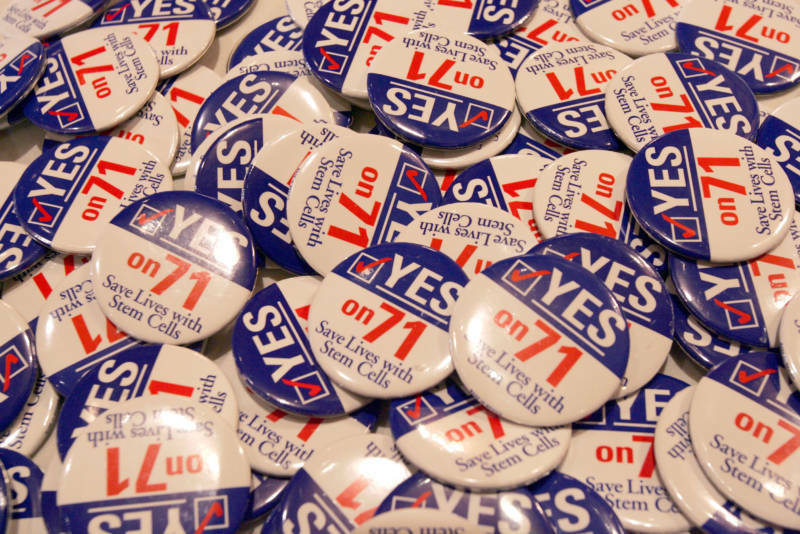 Robert Klein, who spearheaded the original 2004 ballot measure and served as the CIRM board's first chairman, still heads the advocacy group, Americans for Cures, that pushed Proposition 71. Medical science isn't exactly his field — he's president of a Palo Alto-based real estate development firm — but he got involved in stem cell funding because of his son's Type 1 diabetes, which is incurable. Klein said re-funding the stem cell agency is not just a good cause, but good business. “It has been a creator of jobs, and the state benefits from taxes by attracting research centers here,” he said. A 2012 independent review commissioned by CIRM and looking forward through 2014 estimated that its grants plus matching funds would result in an average of over 4,000 jobs created per year, and $205 million in state tax revenue. As for the proposed new funding, Klein said the $5 billion bond cost would be amortized over 40 years, so it’s not a huge cost compared to other government projects. Stem cells are undifferentiated cells that can be transformed into specific tissue and organ cells. The 2004 ballot initiative struck an emotional chord, in part because of the high-profile cases of actors Reeve and Fox, who personified the hope that the cells could play a role in new therapies for incurable medical conditions. Reeve, who died in 2004, became a quadriplegic after injuring his spine in a horse-riding accident; Fox has Parkinson’s, a neurodegenerative disease. In Fox's 30-second spot, he used the word “cures” three times. So has CIRM produced any cures? The family of 5-year-old Evangelina Padilla-Vaccaro would say yes. Evangelina was born with a rare genetic condition called Severe Combined Immunodeficiency, or SCID, also known as “bubble baby” disease. The ailment renders a patient's immune system nonfunctioning. The National Institutes of Health estimates approximately 40 to 100 children in the U.S. each year are diagnosed with the malady. A team of UCLA clinical researchers, partially funded by CIRM, genetically modified Evangelina’s own blood stem cells to correct the SCID mutation. Evangelina was the first to undergo the treatment, back when she was just a few months old. 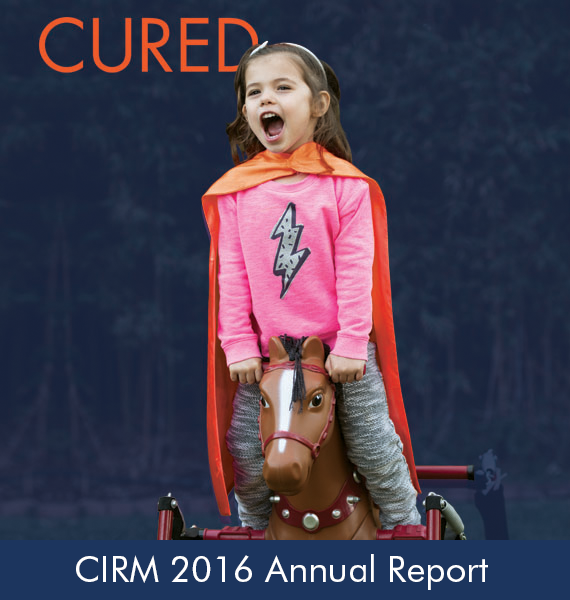 And now, CIRM says, at least 40 other children have been cured with the same procedure. Despite this success, the SCID trial is only in Phase 2. CIRM has only two trials in Phase 3, a necessary step before FDA approval: one testing a new port for kidney dialysis patients that is made out of human tissue and would not have to be replaced; and one that aims to slow down the progression of Lou Gehrig's disease. 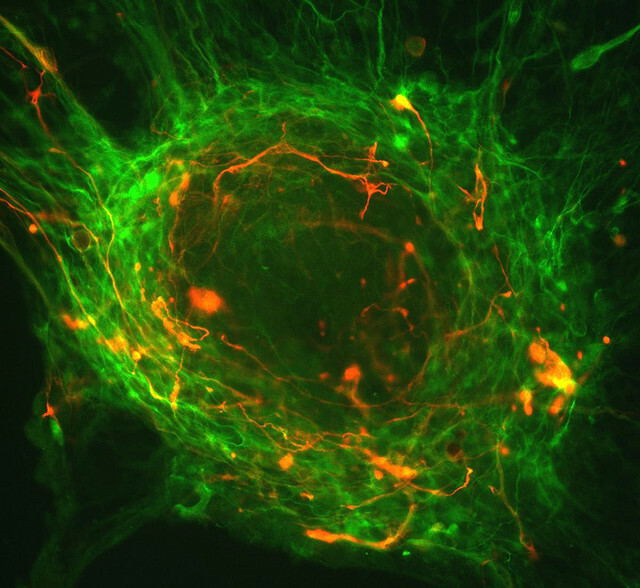 Other promising CIRM-funded therapies include slowing or reversing retinitis pigmentosa, a genetic abnormality that destroys a person’s sight; and injecting stem cells into patients with severe spinal injuries. The FDA has made several of these therapies eligible for priority review by granting them Regenerative Medicine Advanced Therapy, or RMAT, status. Clinical trials and research in less-advanced stages are ongoing for many other diseases and conditions, including brain cancer, diabetes and HIV. But the fact remains: Although this could change in the run-up to the election, no CIRM-funded stem cell treatment has yet to be approved by the FDA. Even outside of CIRM, only a handful of stem cell-related therapies have been approved for general use. Yet, stem cell research has captured the public's imagination with flashes of the miraculous. 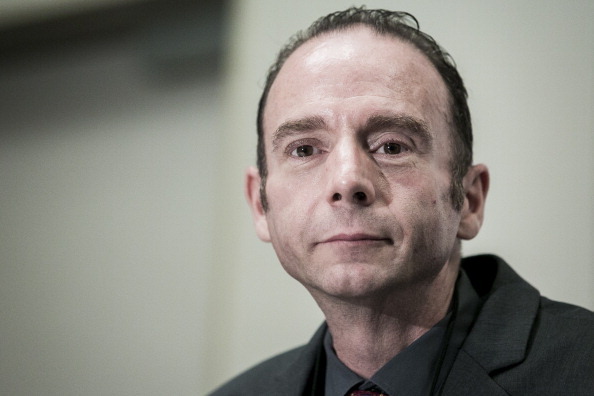 Timothy Ray Brown, the famous "Berlin patient," for example, is an HIV patient who received a bone marrow transplant from a donor with a genetic mutation that endowed resistance to HIV. The transplant effectively cured Brown of the disease. However, there are currently a dearth of potential donors with the correct mutation, so researchers hope to create them, for use in patients' blood systems. The bubble baby breakthrough and positive initial results in other CIRM-funded trials are strong selling points, said David Jensen, a journalist who covers stem cell research and writes a blog called California Stem Cell Report. "There are some things CIRM can point to that are really impressive," Jensen said. "It’s a pretty big deal in the world of science. It's the largest single source of funding for embryonic stem cell research in the world, and that’s no small thing." That doesn't necessarily mean voters will agree to re-fund it, he said. Kevin McCormack, CIRM’s director of public communications and patient advocate outreach, said there's still time for CIRM to make a bigger splash. Klein, the backer of Proposition 71, said the 2004 campaign never promised cures during the lifetime of the stem cell agency, only progress toward attaining them. “What we put in the ballot arguments is that we had to make major progress in mitigating disease, and moving toward cures,” Klein said. He feels that certainly has been achieved— and more. “In terms of progress toward the ultimate goal of cures, it’s remarkable what progress has been made. But even CIRM's McCormack has said, in an interview with KQED in 2016, that overpromising by the Proposition 71 campaign is "something [CIRM] has had to live with." Opposition during the first ballot measure was based mostly on religious concerns about using embryonic stem cells, on the large amount of money (the $3 billion price tag actually costs taxpayers $6 billion when interest is included) and on the lack of any guarantees of specific achievements. Jensen expects religious objections to resurface when the election campaigns ramp up — but that those might not gain traction, because the field has expanded into adult and induced pluripotent stem cells in addition to embryonic cells. 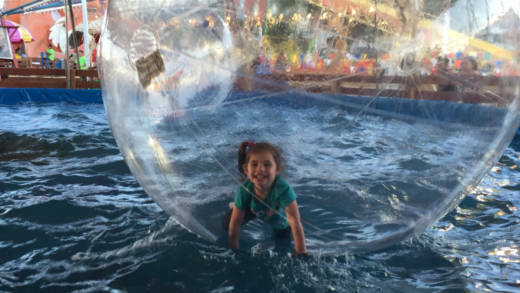 And since the poster child for stem cell success could very well be the pint-sized and happy-faced Evangelina Padilla-Vaccaro, it may be hard to argue that these concerns outweigh not having to live in a bubble. "I mean, how can you be against that?" Jensen said. Koenig supports stem cell research, but voted against the measure in 2004. And she has serious concerns about its possible renewal. Ask Koenig how she might use that proposed $5 billion differently, and she responds with a moment of stunned silence. Another bioethicist, Jodi Halpern of UC Berkeley, said the ballot initiative process is no place for a basic state spending decision. “Why isn’t this a legislative issue?” Halpern asked. “We elect the Legislature to decide where California is going to spend its money. Putting this on the ballot, making it an emotional issue rather than just a financial one, that doesn’t sit right with me." CIRM’s McCormack said he understands the concerns about state funding, but he said he's seen too much good come from the agency to see it wither on the budget-bickering vine. At its current spending pace, CIRM will run out of money by the end of 2019 — roughly a year before the proposed ballot measure vote. At its December 2017 board meeting, one of the topics for discussion was how to slow that spending and extend the agency’s grant-making till the end of 2020. Board members and staffers aren’t involved in the proposed ballot measure, but they’re obviously keen on it, McCormack said. Klein said he commissioned a survey to gauge interest and attitudes toward re-funding the agency. He said the numbers are strongly positive, but he has not released those results. There have been no other California polls on the topic since 2004, according to Jensen. Even if voter attitudes are overwhelmingly favorable toward stem cell research, proponents may find that goodwill might wilt when it comes to passing a ballot measure, UCLA’s Yaroslavsky said.